Would you like to be married at St. Andrew’s? 1st, read over the information below and download the forms at the bottom. 2nd, book a time to visit our minister so that you can meet and talk about your wedding. 3rd, bring in your completed form as well as your deposit, any questions and ideas you have, and then we’ll get busy planning your wedding! Your wedding is one of the key moments in your life. Couples that choose to be married at St. Andrew’s Church can be assured of the interest and concern of the staff. The church staffs wants to help you plan and carry through a wedding service that fulfills your highest expectations and that is consistent with the United Church theology and understandings of the significance of Christian marriage. Because marriage is an integral part of the life of the church community; you are encouraged to make St. Andrew’s your church home if you do not already have one. The Christian wedding ceremony is a service of worship, and as such requires little embellishment. Suitable music is helpful in providing an appropriate setting. 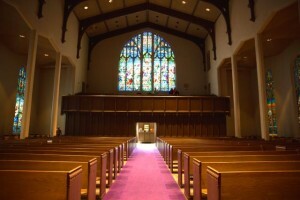 Both the church sanctuary and chapel are available for weddings. When the number of guests is no more than eighty, the chapel provides an attractive setting. Weddings at St. Andrew’s Church cannot be booked on Sundays or on the following dates: Christmas Eve, Christmas, New Year’s Day, Maundy Thursday through Easter Monday, annual Conference weekend (usually last in May), Thanksgiving Day or Remembrance Day. For a Saturday wedding, the Rehearsal ordinarily is held on the preceding Friday. Rehearsals should be scheduled when you book your wedding. 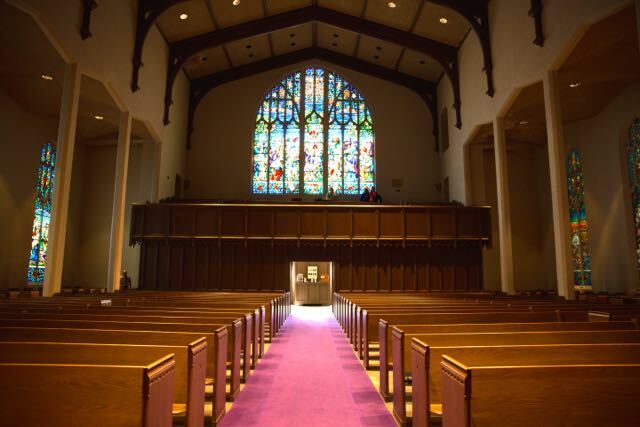 St. Andrew’s has a Minister who is available for weddings, but if the minister is unable to officiate due to schedule conflicts, or another reason, then St. Andrew’s will supply a United Church minister to conduct your wedding at St. Andrew’s. A marriage service becomes part of the public witness of the congregation, therefore the content of the service is subject to the approval of the St. Andrew’s minister. All couples planning marriage are required to meet with the officiating minister in order to plan the service and attend to other necessary details. Couples are expected to arrange for a suitable course of pre-marriage instruction. We recommend either arranging sessions with our minister or participating in a Pre-Marriage Weekend offered periodically at Minto United Church of Moose Jaw, (306) 693-6148. You will be required to present a certificate or letter of confirmation upon completion of your Pre- Marriage Counseling to the St. Andrew’s Office. 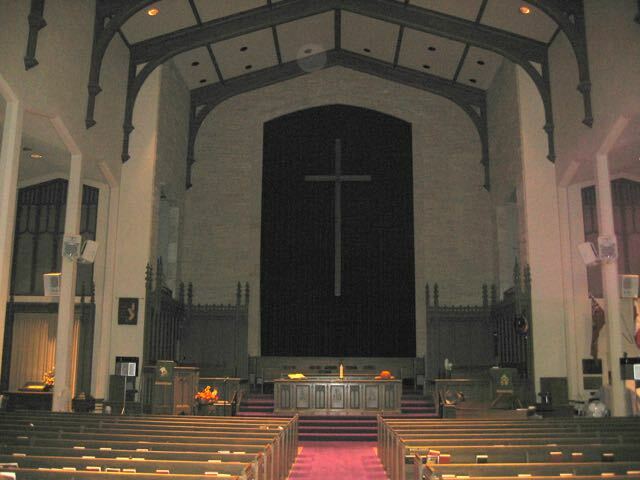 The services of St. Andrew’s Music Director, Karen Purdy are utilized at all weddings requiring organ or piano music. The Music Director must be notified at least two months prior to the wedding. Contact Karen Purdy by e-mail at: deette36@gmail.com. Other organists or pianists may be involved only with the permission of St. Andrew’s Minister. A Church wedding is conducted in the house and the presence of God. The selection of music must be appropriate to a service of worship, and the lyrics must be in keeping with the teachings of Scripture and the Church. This would preclude the use of some selections of music within the wedding itself. If still desired, such selections could be utilized at the reception or family gathering. In worship, live presentation of musical selections is preferable to the use of pre-recorded pieces, whether commercially or privately produced. Requests to use recordings are subject to approval by St. Andrew’s ministry staff, and should be forwarded for consideration well in advance of the wedding. St. Andrew’s United Church observes all applicable copyright law. Detailed information on matters pertaining to use of copyrighted material is available at the church office. There is an all-inclusive wedding fee for Sanctuary weddings of $1000.00 and Chapel weddings of $525.00 If you have a Soloist, there is an additional fee of $50. for rehearsal with the organist; if a St. Andrew’s soloist is requested, there is an additional fee of $100. Couples will make a $100 non- refundable deposit to confirm the wedding; once the deposit is received, couples may be assured that the above advertised fees will remain despite future rate increases in wedding fees. The balance must be paid at least one month prior to the wedding date; payments may be by cheque – payable to “St. Andrew’s United Church,” or by cash/money order. Since the taking of pictures severely detracts from the marriage service, no pictures may be taken by anyone during the service itself. Pictures of the bridal couple, both entering the church and retiring, posed pictures of the vows, kiss and ring exchange at the conclusion of the service, and pictures of the signing of the register, may be taken. The “official” photographer is required to check with the minister prior to the service. A video camera may be used for the entire service. The operator may move and adjust the camera only during the processional, recessional, picture-taking time and signing of the register. During the spoken part of the service, the operator will fix the camera on a tripod in one position. Please notify your friends that no confetti, rice or grain is to be used on the premises. Signs will be in place. 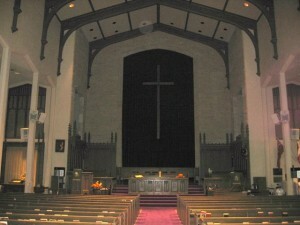 St. Andrew’s United Church provides a beautiful sanctuary and chapel that require no decorations. St. Andrew’s candelabra are available at no extra cost to the couple—please do not bring other candelabra to the church, and if there are small children attending the wedding please do not use the Candelabra. We do not allow any animals to be used in the wedding ceremony or be present in the Sanctuary unless it is a working dog, such as a Seeing Eye dog(s). It is essential to be prompt for your rehearsal and wedding! This is important for the sake of other weddings and is a basic courtesy expected by your guests; the minister and organist often have other obligations right afterwards. Unfortunately, it is very rare that the minister is able to attend wedding receptions because of the pressures of Sunday worship preparation, other church duties or other weddings. Recognizing this, if couples still want to give an invitation to the minister, it needs to be extended quite some time in advance of the wedding date. It is our policy that if we do not hear from you with Two (2) weeks of receiving this material, we will assume you have made other arrangements. Please remember that no wedding is confirmed “booked” without our receipt of the forms and the deposit of $100.00. All of the above information as well as the booking forms are available here for download. Please fill out these forms and bring them to the church office as well as your deposit so we can book your wedding.